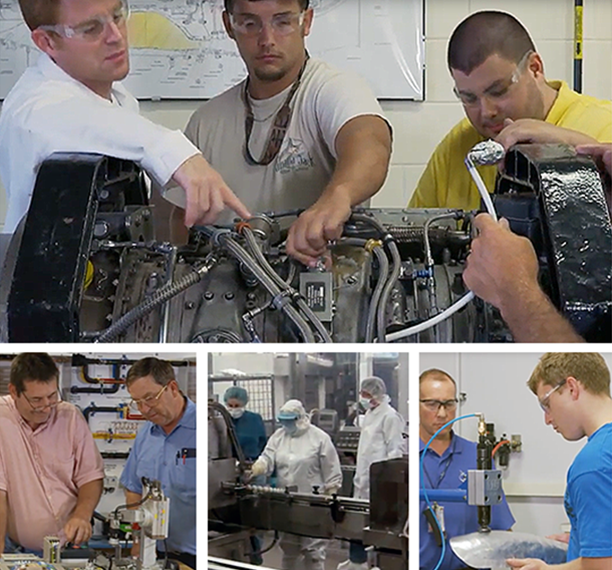 The mission of ApprenticeshipNC is to ensure North Carolina has an innovative, relevant, effective, and efficient workforce development system that develops adaptable, work ready, skilled talent to meet the current and future needs of workers and businesses to achieve and sustain economic prosperity. There are many types of apprenticeships programs of various duration, level of required technical education, and level of employer investment. Depending on their design, these programs may be more attractive to specific demographics, including an employer’s existing workforce, veterans, high school, or college students. Visit ApprenticeshipNC.com to learn more.